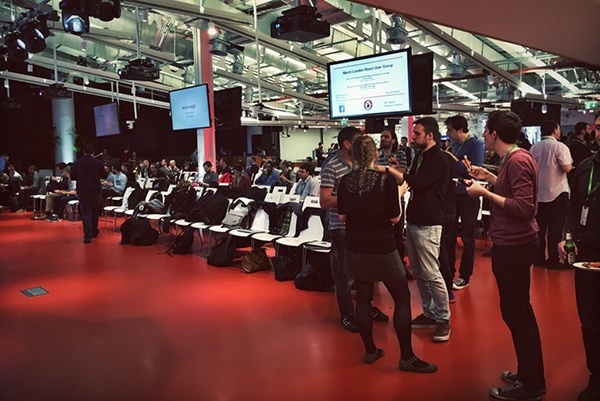 This month we were back at the London Facebook office for another brilliant London React Meetup. We had another full house with plenty of pizza, beer and React geekery. For this meetup we had two presentations. Red Badger's very own Stuart Harris gave a talk on Redux Sagas and Facebook's Martin Konicek gave us a look under the hood of React Native. Stu gave some great insight into how to go about incorporating Redux Saga into Redux applications. Redux Saga is a Redux middleware that handles asynchronous actions in your applications. Instead of dispatching Thunks which get handled by the redux-thunk middleware, you create Sagas to gather all your side effect logic in a central place. Stu took us through what Sagas are, how to use them and how easy they are to test. No more crazy spies or mocks. No more manipulating time or rewiring dependencies. Just pass in actions and test the output effects. If you are having trouble with asynchronous actions in your project perhaps Redux Saga can help. 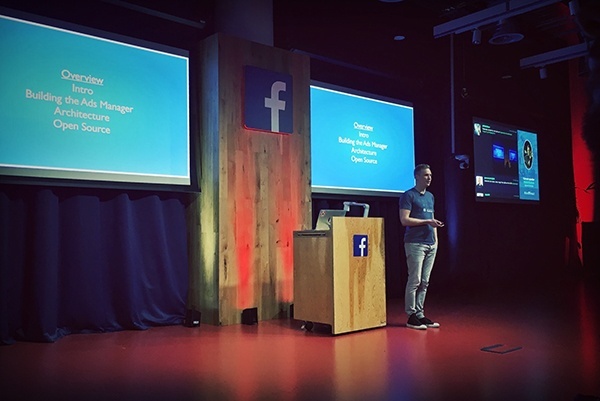 Martin works on the React Native team at Facebook. He gave a great tour of React Native with a focus on Android development. Martin delved into the porting of Facebook's Ads Manager app from iOS to Android. He demonstrated some of the ways they were able to share code across both platforms, boasting over 85% code reuse in the Ads Manager. Martin elaborated on the architecture and extensibility of React Native and gives some insight into the React Native Open Source process. It is pretty amazing how Facebook handles syncing their internal React Native and the public React Native on GitHub. I look forward to more tools like the Facebook Github Bot to help developers manage their open source projects. The recordings of the talks will be available shortly, we'll post a link here soon. 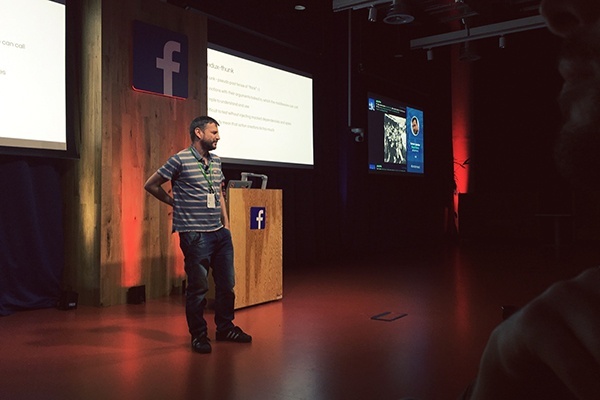 Thanks to Stu and Martin for their great talks, Facebook for hosting and the members of the community that joined us! Join the meetup group to receive updates on future events!